Adam is a vegan whose passion for food began with a lifethreatening illness and continues today in a lifestyle built around healthy cooking and eating. Adam is a qualified chef and wellness coach who specialises in a wholefood, plant-based diet. He is a passionate advocate for living a simple, healthy and environmentally friendly life. 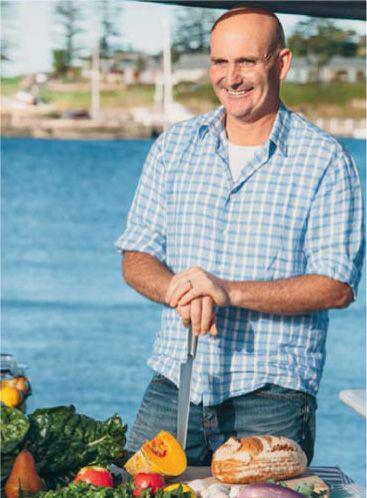 His story begins with a rude awakening when, as an out-ofbalance and overweight 39-year-old, he found himself in hospital after an early-morning surf, discovering he’d had a heart attack and being told by his cardiologist that he would be on daily medications for the rest of his life.